..::UFC Fight Night 146 - Lewis vs. dos Santos Competition Winner::..
..::UFC 214 - Cormier vs. Jones 2 Competition Winner::..
..::UFC 191: Johnson vs. Dodson 2 Competition Winner::..
..::UFC on Fox 16: Dillashaw vs. Barao 2 Competition Winner::..
..::The Ultimate Fighter 13 Finale Competition Winner::..
Its going to be many hours watching MMA this weekend thats for sure Great weekend! Sorry for not making a competition but I have been away all week and have not had time simply. Regarding lackluster UFC card... B.J. Penn, Clay Guida, Carla Esparza... there's a lot of cool fighters on the card. Also my experience is that the cards that looks the least fun are usually the best once they are over. And main event should be good! Turned out to be such a weird event. At least the PPV. I'd be willing to help out, if it's not too complicated I guess! Comps are fun, more people should participate! 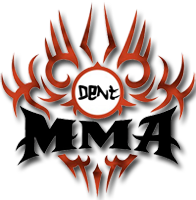 ..::UFC Fight Night 109 - Gustafsson vs. Teixeira Competition Winner::..